Peregrine Travel Centre > Travel Blog > Asia > Simply Sri Lanka – why is it the place to visit?! 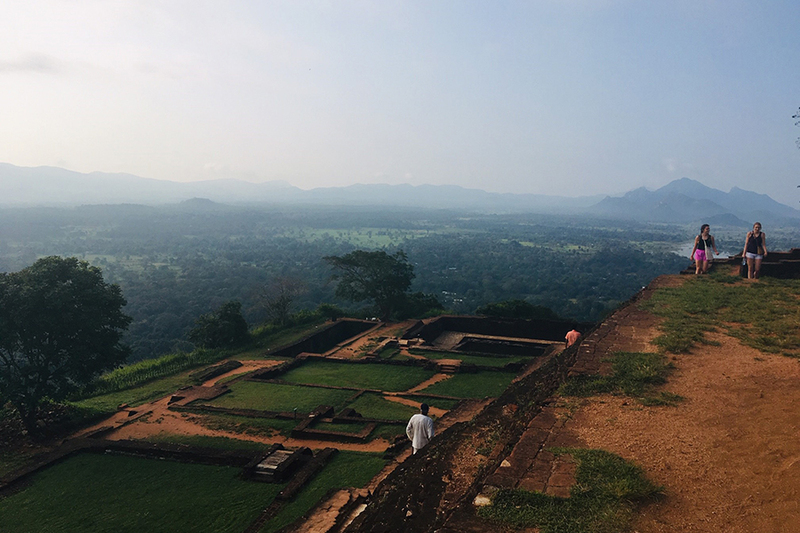 Sri Lanka has certainly grown in popularity this year, having topped the list of Lonely Planet’s top 10 countries to visit in 2019, and rightly so. It’s home to unique wildlife, a diverse mix of cultures and religions, incredible natural wonders to visit and some of the most beautiful beaches in the world! 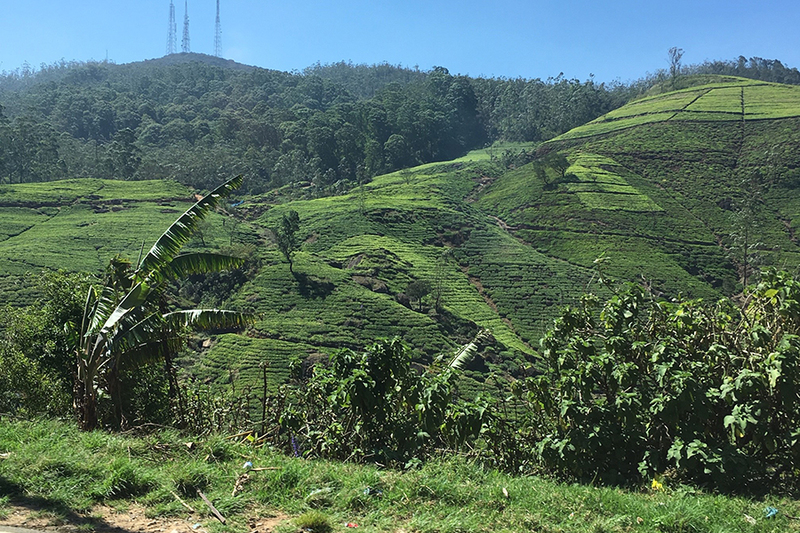 Our team member Sherrie recently returned from an 8-day Intrepid tour through Sri Lanka. Commencing in Negombo, the trip visited Dambulla, Kandy, Unawatuna and concluded in Colombo. Although it was only a short tour, it was a great trip for those visiting Sri Lanka for the first time or who may not have a lot of holiday leave but still want to go on a new adventure! We asked Sherrie our questions about this tour and why Sri Lanka is the place to visit this year! 1. You travelled in February. What was the weather like? When is the best time to visit Sri Lanka? 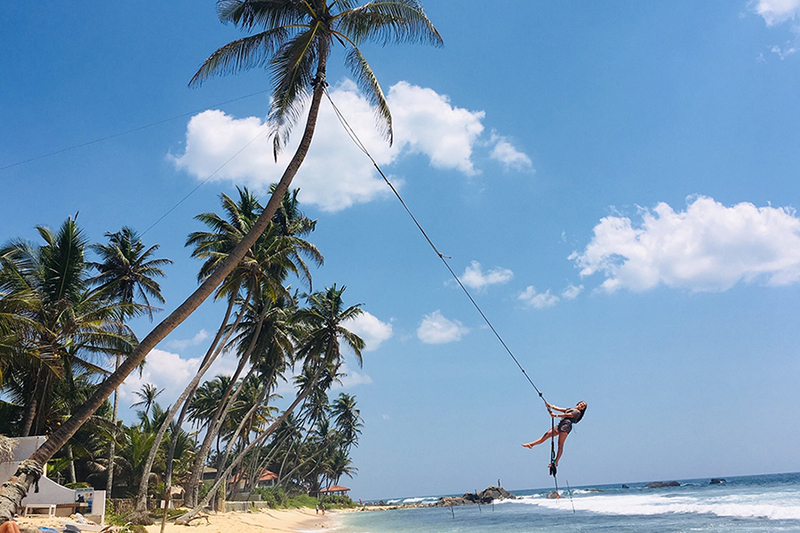 In general, the best time to visit Sri Lanka is between December and March (as most people visit the middle of the island and south-west region) however if you are travelling to the East Coast the best time of year to travel is April – September. 2. Would you recommend people allow an extra day in Negombo pre-trip or in Colombo post trip? 3. What sort of food did you get to try along the way? 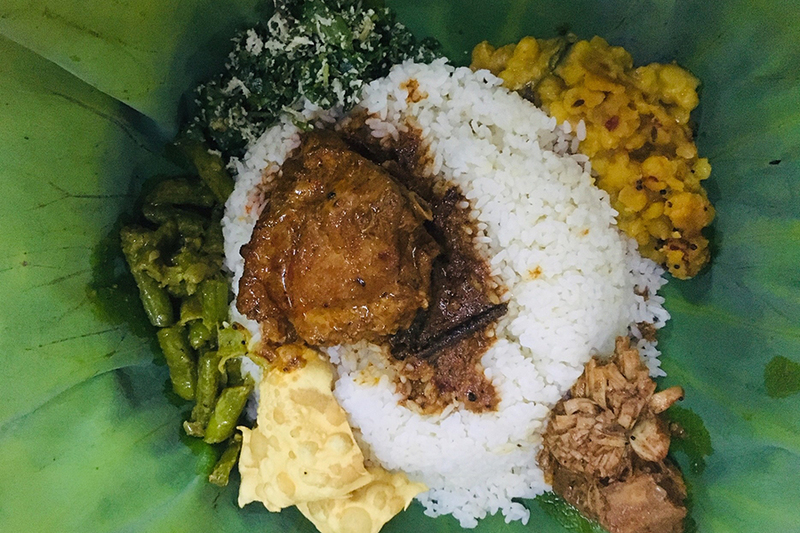 I was very lucky to try a lot of the local dishes…and I was more than happy to have rice for breakfast as it was so delicious! As well as curries we got to try the hoppers (a type of pancake) as well as many different fruits and sweets (sesame balls, kokis and much more). Your tour leader will stop on the side of the road so you can sample the local street food. I would highly recommend a local cooking class as well. 4. This is a Basix Intrepid trip, what was the accommodation like along the way? The accommodation was basic (as the trip style says) however the rooms and hotels had everything you needed. All of the rooms were large, with AC and an ensuite. Some had safes and minibars as well. All hotels were well located and had free wifi. 5. What about money. Is it easy to exchange cash along the way? Would you recommend bringing over money or using card? As Sri Lanka is becoming so popular, there are some money exchange places in Australia that now hold Sri Lankan Rupee. I took rupee as well as US Dollars. As I was on a short trip the only town with a money changer was Kandy, however I was able to exchange my US Dollars at the hotels along the way. There are also plenty of ATMs throughout the country to be able to access local currency. A mixture of both cash and card is always a good idea. 6. What were your top 3 highlights of the trip? Plus the greenery, food and people! 7. The beaches in Sri Lanka are known to be beautiful, can you tell us about the ones you got to visit? 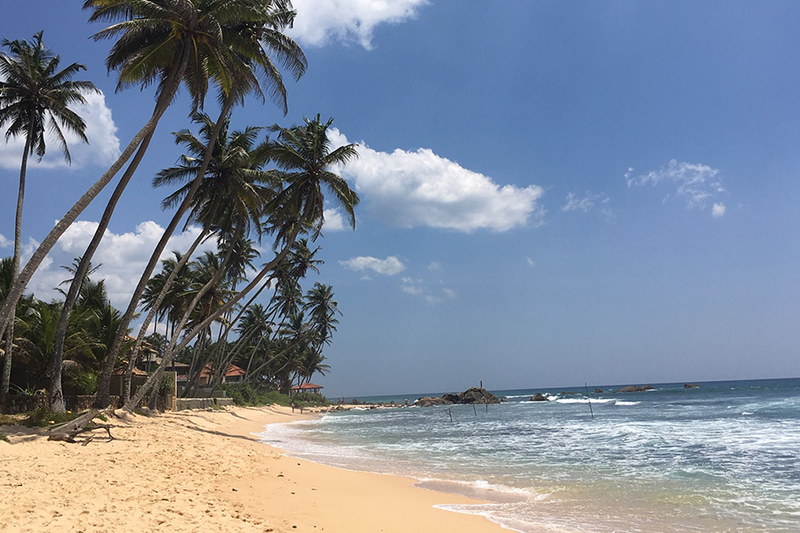 I was lucky to spend some time in Unawatuna…a beach on the southern coast close to Galle. The sands were a lovely golden colour and the water was like a bath. The area is set up for tourists with plenty of beachside restaurants and shops. Even though this is a touristy area, the number of tourists is so much less than every other place I have been to. Just a short walk east from my hotel and you virtually had the beach to yourself…that is very hard to find these days! 8. Were you lucky to experience any wildlife on the wilderness safari? Whilst in Dambulla I chose to join an elephant safari in nearby Eco Park. During our safari we saw plenty of elephants including several babies with their mothers. Whilst I was down at the beach in Unawatuna, I embarked on a cycling trip with Urban Adventures. This took me through the local villages and rice fields of the local community. During my cycle I saw monkeys, kingfishers, monitors, water buffalo and many other animals. 9. If people had more time, what other Intrepid trips in Sri Lanka would you recommend? Other people on my trip as well as myself would love to go back to Sri Lanka to visit the East Coast and well as the north. Jaffna and the surrounding areas are less visited but are becoming more popular with travellers. Intrepid’s Sri Lanka Explorer takes in the famous areas of Kandy and Dambulla and then heads up to Jaffna and back via Anuradhapura. 10. Any advice or tips for people wanting to travel to Sri Lanka? Sri Lanka is a country that offers so much – history, culture, food, religion, wildlife and beaches. Try to spend at least 2 weeks to be able to see and experience as much as possible. It is also a great destination for families. It is easy to travel around, the people are so friendly and the beaches are a great place to end your trip. If you’d like to know more about travel to Sri Lanka or speak with Sherrie about her experience, you can contact us on (08) 8223 5905 or via our website.